Western Viti Levu is dominated by the sugar cane industry established during British colonial rule and original reason for Indian immigration to Fiji. Indo-Fijian cane farmers gather for a campaign speech by the Fiji Labour Party's Mahendra Chaudhry, east of Ba, Fiji. 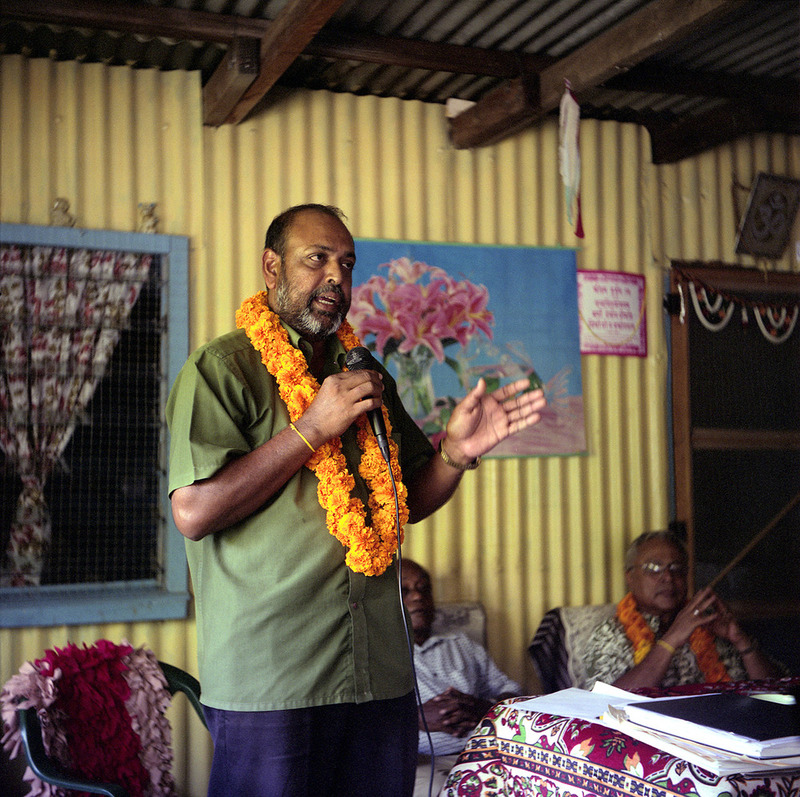 The former Prime Minister Mahendra Chaudhry, deposed in the 2000 George Speight led coup, gives a speech to Indo-Fijian cane growers, east of Ba, April 2006. Farmers listen as speakers from the Fiji Labour Party talk to them about the upcoming election. Indo-Fijian cane farmers check electoral roles for their names. Mahendra Chaudhry of the FLP greets Indian-Fijian cane farmers. 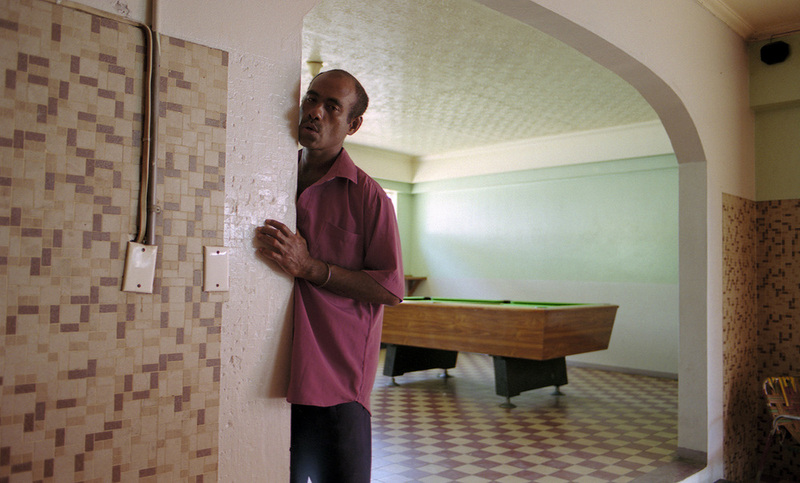 An FLP leader speaks to cane farmers. Afternoon drinks in a bar in Ba, April 2006. Farmers listen to speakers from the Fiji Labour Party at an evening meeting in Ba, April 2006. Leaving Navua for Beqa Island with two members of the Royal Fiji Military Forces, 2006. Negotiating the river bar at Navua. On the way to Beqa Island with two members of the RFMF. April 2006. Members of the RFMF address men of Waisomo village on reasons why they should not vote for the ruling SDL party. Evening inter-village choir competition on Beqa island. Unemployed youths hang out on the bridge to Quaia village, Lami town. Members of Quaia village wash and bleach coral for the international aquarium market. Kids hanging out at a swimming hole, Quaia village. Leaders of the ruling SDL party address an audience at a rally in Lami. 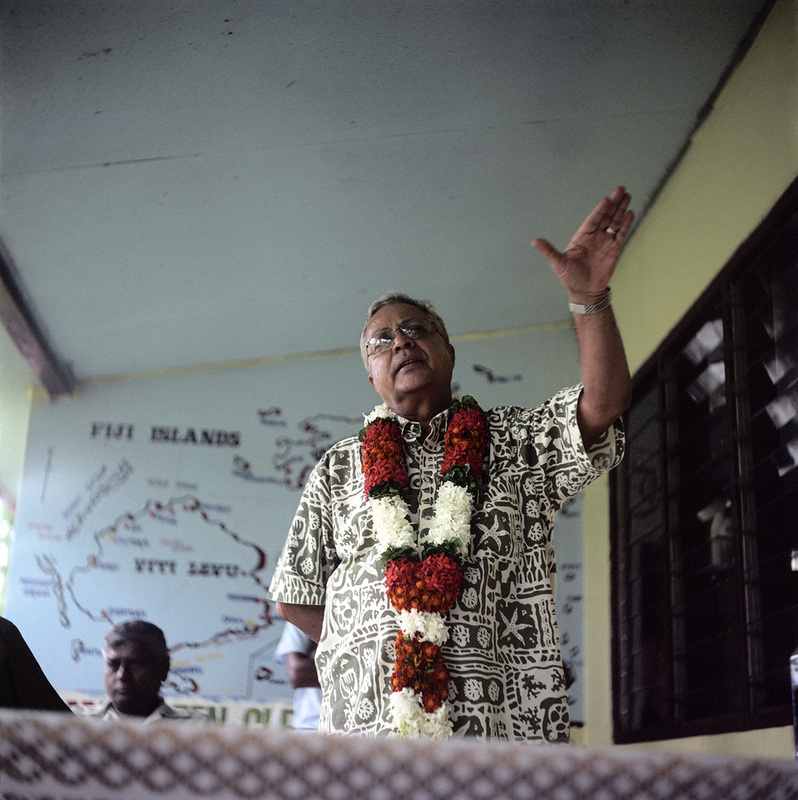 Then Prime Minister Laisenia Quarase speaks to voters at a public meeting in Lami town, April 2006. Dancers perform at a rally held by the ruling SDL party. 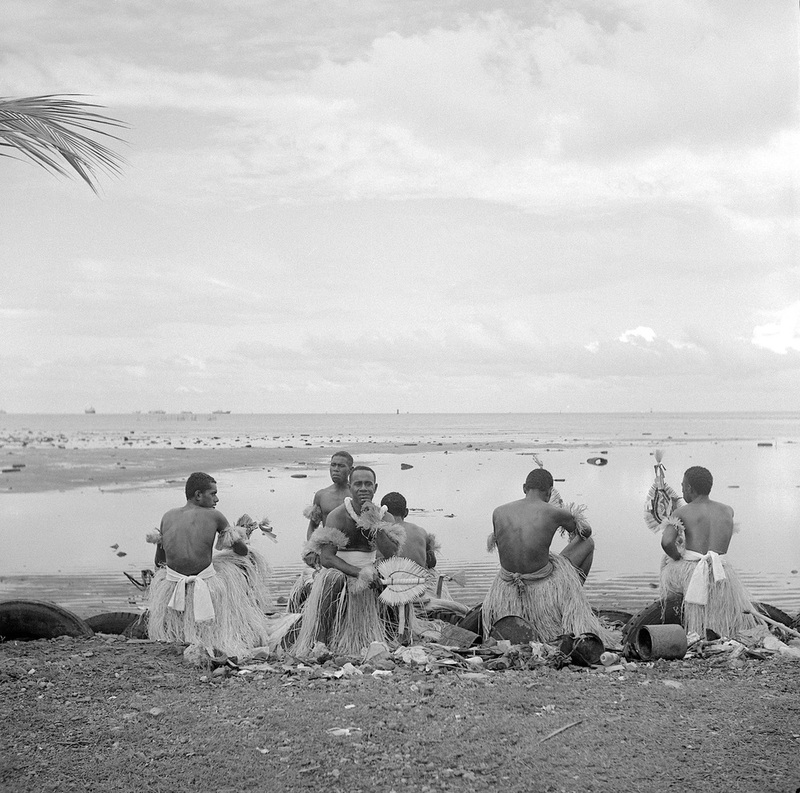 Members of a local Fijian dance troupe wait to perform at an SDL rally, Lami town, Suva.